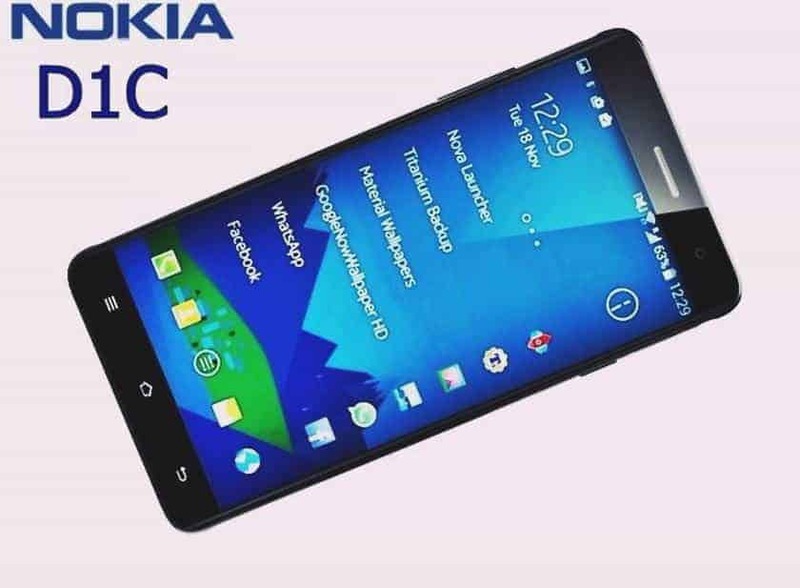 Exactly a week ago, we had received a piece of news that a new device from Nokia codenamed Nokia D1C has been spotted on GeekBench. GeekBench revealed that the device will run Android 7.0 Nougat out of the box and will have 3GB of RAM. 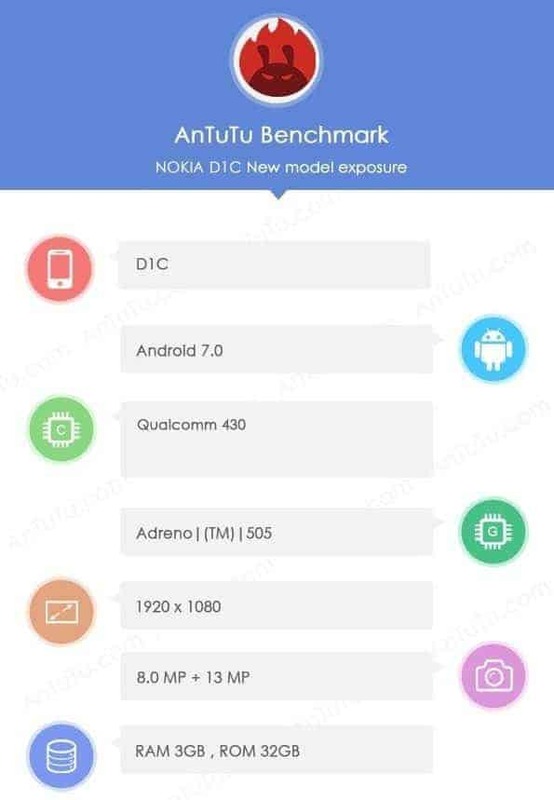 Now, today the Nokia D1C has been spotted again on Antutu, one of the most popular mobile benchmarking tools and more specs have been revealed. Antutu has confirmed what we saw on GeekBench last week and also, revealed a bit more. The Nokia D1C will be powered by a Snapdragon 430 processor and Adreno 505 GPU, coupled with 3GB of RAM as depicted earlier. The phone will sport a 13MP rear camera, and a 8 MP front-facing camera. In terms of display, Nokia will be doing a fair judgment by providing a full HD display (1920×1080). In the case of storage as well, there will be an ample 32GB of storage, and hopefully, there will be the option for memory expansion via microSD card. Some sources are also pitching us some sort of updates like the device will come with a 3500mAh battery and will be priced at around $199 or Rs. 13,000 (approx.). However, these are not confirmed news yet so better to wait a bit. Nokia phones have always been appreciated for good camera and kickass battery backup and I’m literally excited about this new phone and just hope that this time, Nokia doesn’t come up with something like the Nokia X series. Till then, wait a bit and keep checking us for more updates, leaks, rumors and a lot more. Previous articleWhy Didn’t Wearables Take-Off?